"For me, the distinction between short and feature is meaningless. A film is a film. It has a beginning, a story and an end. It is more difficult to make a short film. Its weaknesses are more visible and can’t be compensated for as the film progresses. Freed from the constraints of theatre release, financing and what the public wants to see, short films are more personal and, therefore, more artistic. This is why we expect new forms of experimentation from their directors, as well as artistic audacity. The constant renewal essential to the art of cinema is the duty of young filmmakers. This is the very function of their short films, which are far more than mere exercises to enable access to cinema as a profession." Born in Tehran in 1940, Abbas Kiarostami studied fine art. In 1969, he created the cinema department at the Institute for the Intellectual Development of Children and Young Adults, where the Iranian New Wave was born. It was there that he produced most of his films until 1992, including his first short, The Bread and Alley (1970) and his first feature The Traveler (1974). He came to notice for his trilogy: Where is the Friend’s Home? 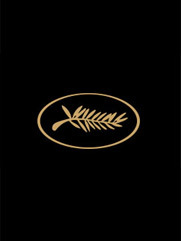 (1987), Life and Nothing More… (1992), and Through the Olive Trees (1994) – in competition at the Festival de Cannes. Taste of Cherry won the Palme d’Or in 1997 and The Wind Will Carry Us won the jury prize at Venice in 1999. He returned to Cannes in competition with Ten (2002), Certified Copy (2010) – for which J. Binoche won best actress –, and Like Someone in Love (2012). Kiarostami continues his protean work: his photography and video installations are exhibited all over the world, and his collections of poems have been translated into a dozen languages. He has also staged Tazieh at the Teatro di Roma in 2003 as well as the opera Cosi fan Tutte for the 60th Festival of Aix-en-Provence. For the last ten years he has also run film creation workshops for young artists.